At Bath Planet of Greater Texas, we work tirelessly to ensure our customers’ satisfaction. From our initial design consultations to our final installations, we’re dedicated to exceeding customer expectations of quality, professionalism, and service. We truly care about our customers, and we get excited to learn that they’ve appreciated our work. 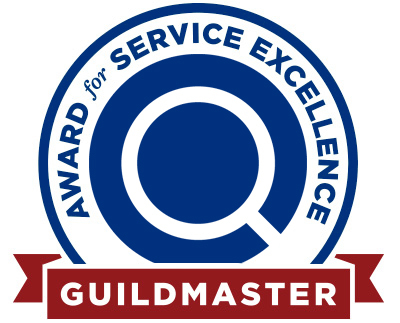 That’s why we’re happy to announce that Bath Planet has been recognized with a 2017 Guildmaster Award from GuildQuality! Based on thousands of customer reviews, this award recognizes Bath Planet’s exceptionalcustomer service, reflected by the fact that over 90% of our customers would recommend us to a friend—a rate that’s 20% higher than the industry average. Although we’re honored to receive the Guildmaster Award, we at Bath Planet of Greater Texasview this as just another opportunity to continue the high level of service we’ve come to be known for. From our choice of materials to our friendly and professional staff, every aspect of a Bath Planet remodel is designed to make our customers happy. Whether you need a complete bath makeover or a quick shower replacement, we manufacture and install our own exclusive products that last a lifetime without chipping, cracking, or fading. Our nonporous acrylic has even been certified by the Good Housekeeping Seal!To ensure expert craftsmanship, we work with the most knowledgeable and respectful installers in the DFW area and can complete your gorgeous new bath in as little as a single day. Toget a five-star remodeling experience from an award-winning team, call Bath Planet of Greater Texas today!We’d love to learn more about your bath and shower remodeling needs and demonstrate the outstanding customer care that earned us the 2017 Guildmaster Award. Get started with a free consultation and cost estimate now by submitting our quick online form.